After taking a look at which spices are essential to have on hand, we've prepared a list of the most commonly used herbs to keep in stock at home. As we all know, there are a huge variety of herbs and every person has different tastes. However, having a few of the most versatile herbs on hand does a lot to enrich your culinary life. In addition, you'll need less salt for cooking when you season your food using herbs. They add richness and diversity to your meals, and have lots of healthy ingredients like vitamins, minerals or essential oils. There are many people who swear by fresh herbs because they usually just have more flavor. There are few herbs that have a more intense flavour when they're dried. One advantage to dried herbsis that they have a long shelflife. Just make sure to store them in airtight containers, so they don't lose their flavour. An alternative to dried herbs are frozen herbs. When the herbs are frozen right after the harvest, they almost retain all of their flavour. Basil has a strong but pleasant flavour. 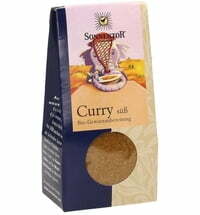 It is mainly used in Italian cuisine and refines pizzas, salads, tomato dishes, pasta, fish and chicken. It goes great with all Mediterranean dishes. Important: Do not boil the basil, otherwise it will lose its flavor. Fresh basil has a much stronger taste than dried basil and is available from June to September. Cooked whole, it gives food a slightly peppery taste. It is perfect for stews and legumes. The sweet and slightly tart flavor of the dill has an incomparable flavour. 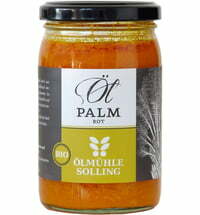 It harmonizes perfectly with cucumbers, salmon, marinades and sauces and generally with fish. Dill should always be added at the end of the cook time, so you can enjoy the fresh flavour. Fresh tastes best! Its characteristic bitter flavour has a spicy note comes from tarragon's essential oils. It pairs well with ground beef and lamb and adds a special something to your dishes. This aromatic and bitter spice is used for marinating or frying meat and potatoes as well as for ground beef. Do not boil the herb too long, otherwise the taste will evaporate and the marjoram becomes bitter. Caution: used dried, it is much more intense than it is when it's fresh. A very versatile herb (for food, cocktails, teas, ...) that has a very characteristic taste. It brings a fresh touch into many dishes and suits all types of desserts, meat and fish. This herb has a spicy, slightly peppery flavour and goes perfectly with Italian cuisine like pizza, mussels, fish, pasta, soups and stews. Oregano tastes the most intense when used dried and cooked for at least 15 minutes with the dish. The heat brings out the flavour. Attention: use dried oregano only sparingly. The absolute classic! Parsley is a universal spice, with a touch of sweetness. It harmonizes with meat, fish, soups, sauces and potatoes. We should always use parsley fresh if possible as it has a stronger flavour. It can be harvested from May to October. This spicy spice has an intense smell and grows wild in the Mediterranean. It is a classic spice in European cuisine. Rosemary should be used carefully because it has a very strong flavour. It goes well with wild game, beef, sauces and potatoes. Chives belong to the leek family and have a slightly spicy flavour that goes well with soups, sauces, sandwiches, eggs and fish. Chives lose their flavour when they are cooked, so it is best to use them fresh or freeze them. Spicy, bitter-sweet, Mediterranean - thyme is a classic kitchen herb and is perfect for lamb, wild game, sausages, stewed meat and antipasti. It should be used during cooking. Please note- dried time has a flavour 3x stronger than fresh thyme. Zotter Chocolate Mitzi Blue "Sky of Love"
Ankerkraut BBQ Rub "Magic Zero"